Hey guys! I’ve got about two more months before our little one comes into the world, and pregnancy is hitting me hard lately. I have to say, it’s all been pretty easy for me so far, we’ve been really really lucky, so I think a little struggle at this point is okay! Do you ever sit down and just know you want to make something, but you just can’t figure out what that something should be? That’s me like, all the dang time. I have stacks of recipe ideas and areas I’d like to explore, but decision making just isn’t all that easy, amirite? I sat down to figure out what to bake a few weeks ago, and my husband suggested biscuits. 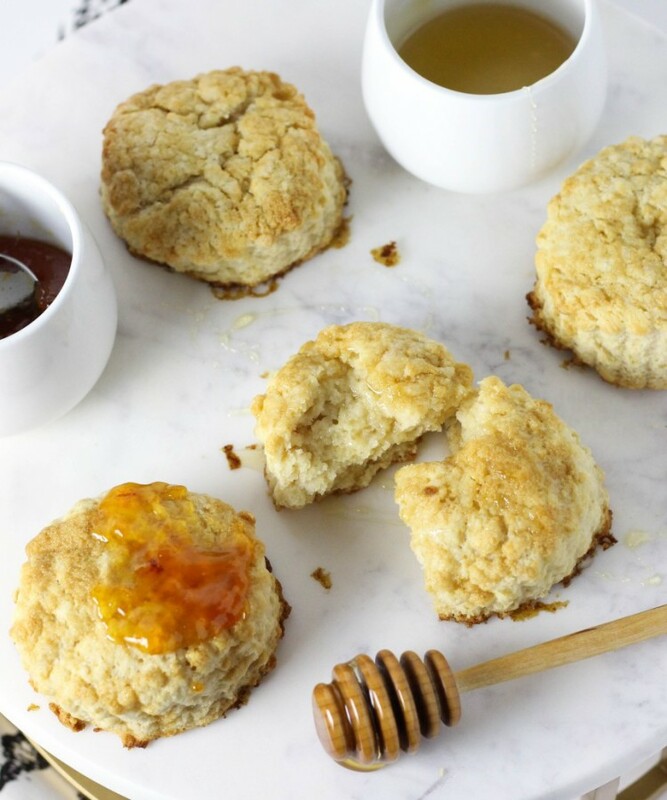 But I wanted to do more than just a classic biscuit- something with a bit of a deeper, sweeter flavor. And this is so it. I was thinking of having honey on top, but then I decided it’d be nice to have a bit of a sweeter base- sweetened with honey on the inside of the biscuit too! The brown sugar extends through the entire biscuit, including on top, where it browns and becomes a crispy sweet crust that is too-flippin-good. Biscuits from scratch are super easy you guys. You don’t need special equipment (though a pastry blender can help some) and they come together really quickly. Best of all, it’s one of those satisfying things that you’ll come back to over and over again. This recipe is adjustable, you just want to keep your wet and dry ingredients at the same ratio. It’s my go-to. You can add in topping sweet or savory, and season these pretty things however you please! 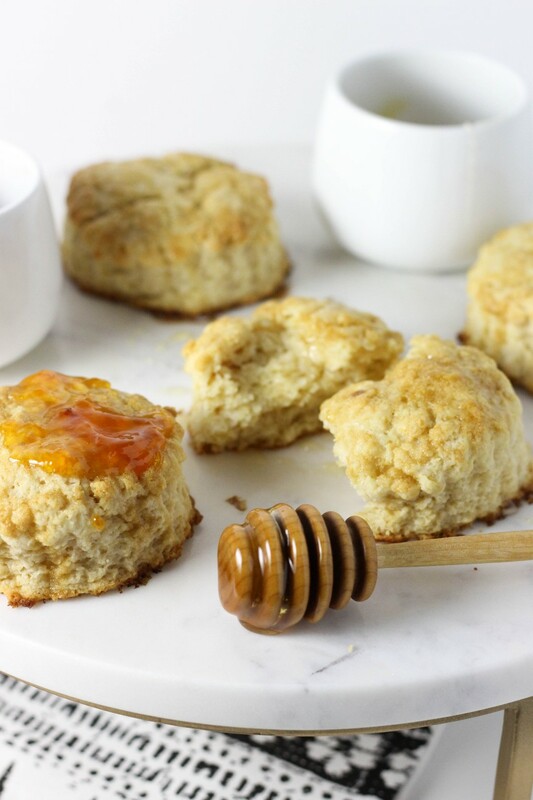 Maybe this is just me, but I never had homemade biscuits growing up, which makes them feel really special even though they’re so easy to pull together. With a super simple recipe, you can really adjust and update it however you like, sweet or savory, and they become something everyone will be impressed by. I’m hoping that you find this dessert-style biscuit as satisfying as I did. 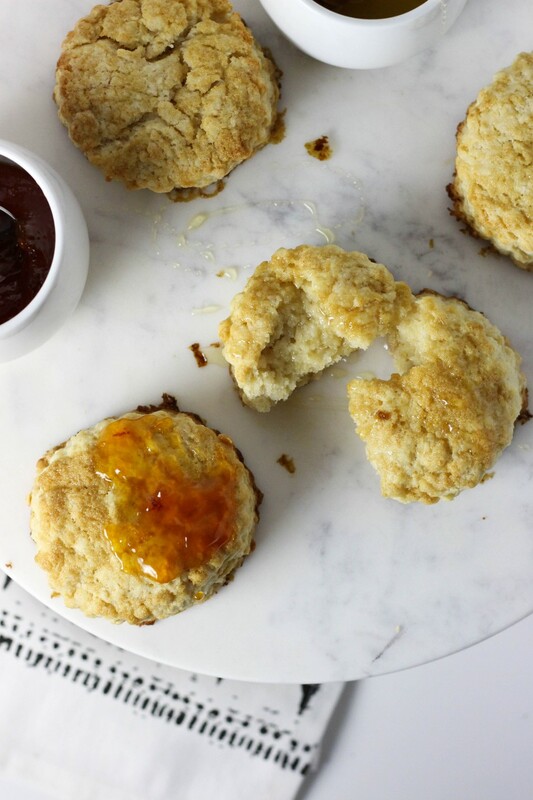 We topped ours with more honey (whoops) and apricot jam, although they are seriously fantastic all on their own, or just with a little bit of butter. 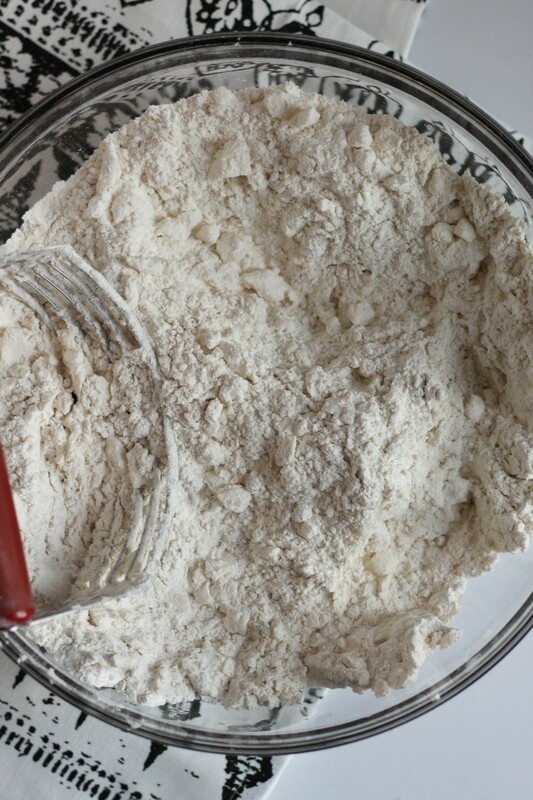 In a large bowl, stir together the flour, brown sugar, baking powder and salt. 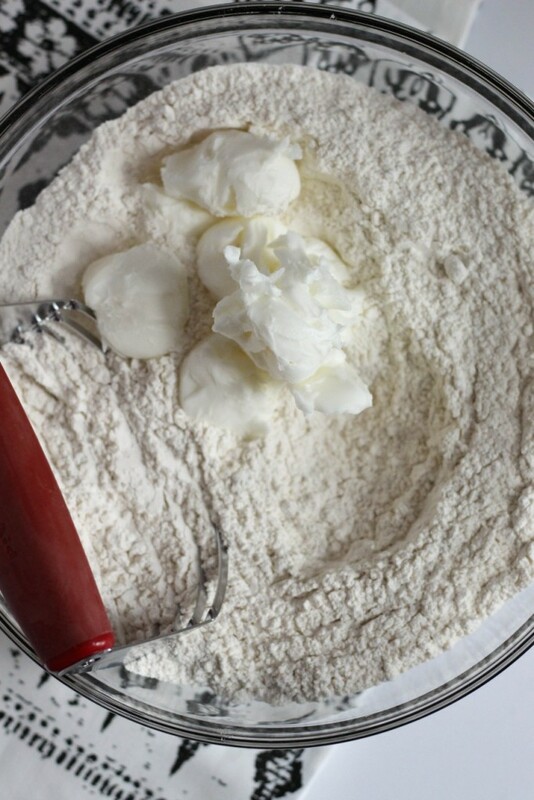 Using a pastry blender or just your hands, cut the shortening into the flour mixture until the mixture is coarse and crumbly. Add in the buttermilk and honey, and stir together until a dough forms. 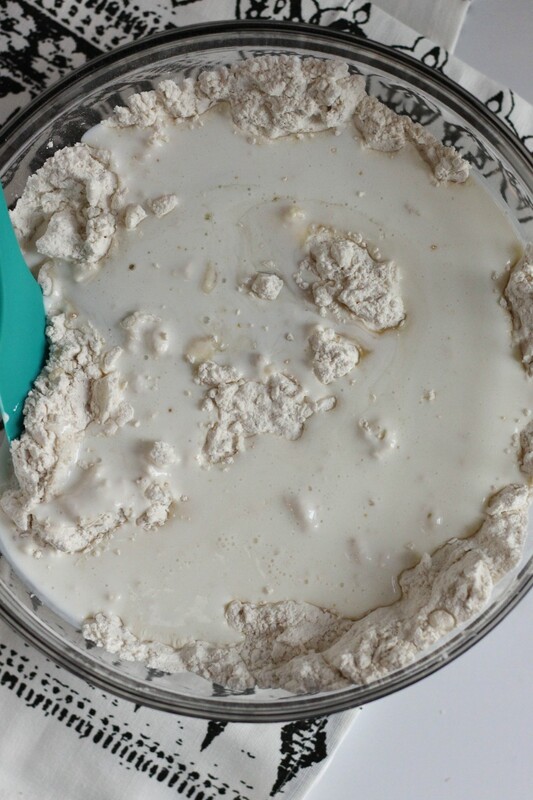 Turn the dough out onto a floured surface, and pat into a long rectangle. 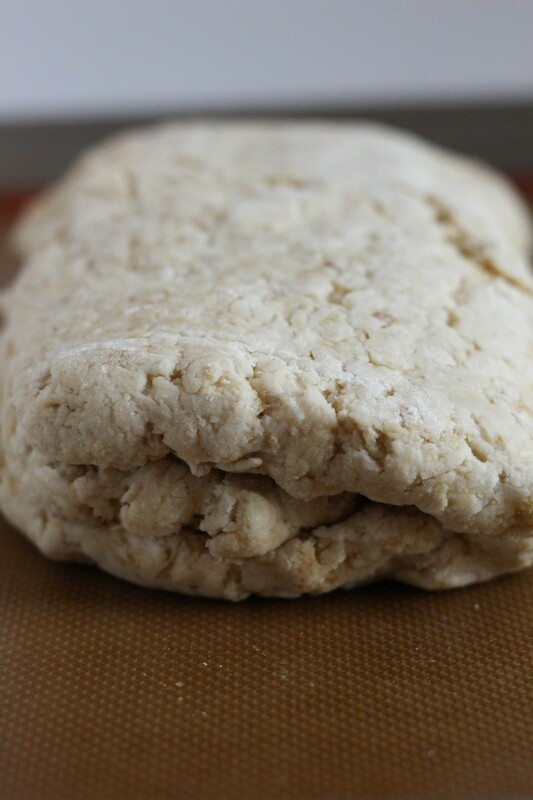 Fold the dough into thirds, and pat out to a rectangle about 3/4 inch thick. Using a 2.5 inch cutter, cut out your biscuits. 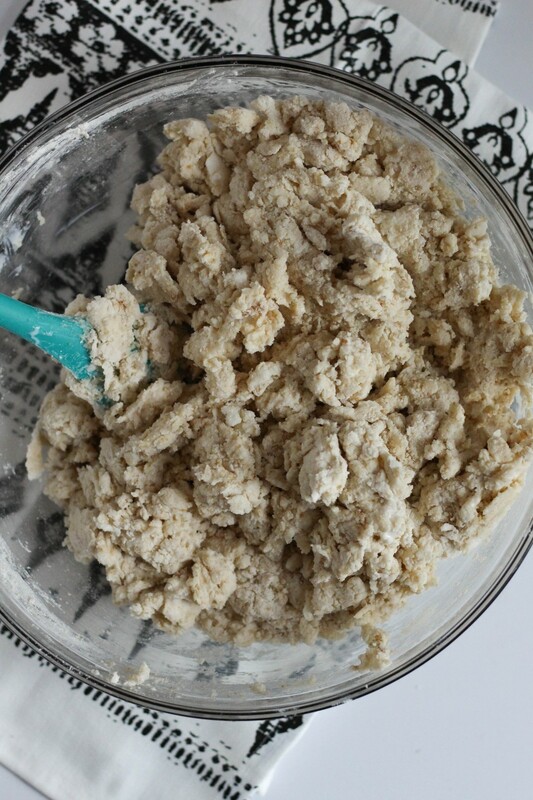 You can re-use the dough scraps once. Place the biscuits onto a lined baking sheet, and place in the fridge for 20 minutes. 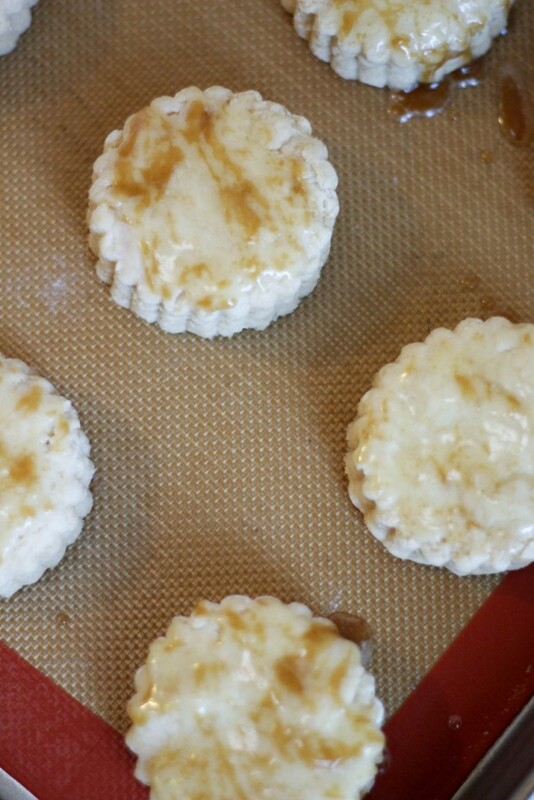 While the biscuits chill, preheat your oven to 400 degrees, and mix the butter and remaining brown sugar together. 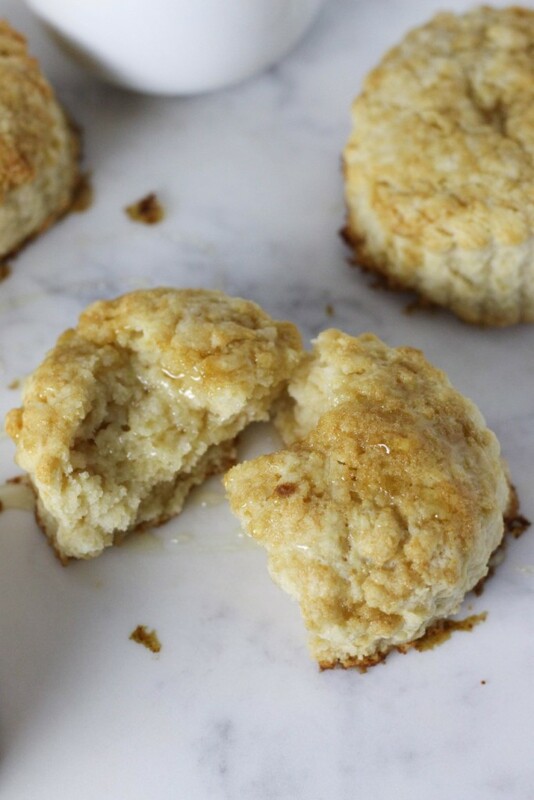 Brush the tops of the biscuits with the butter and brown sugar mixture, and bake for 13-15 minutes, or until the biscuits are puffed and golden brown on top. Serve warm, with honey and jam or butter!